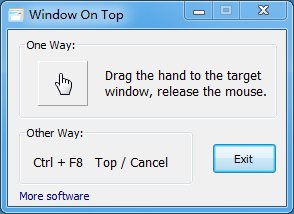 Optionally you can use CTRL+F8 key for toggling between the current and back Window. Window On Top works on Windows XP, Vista and Windows 7. I tested it on Windows 7 x86 version.